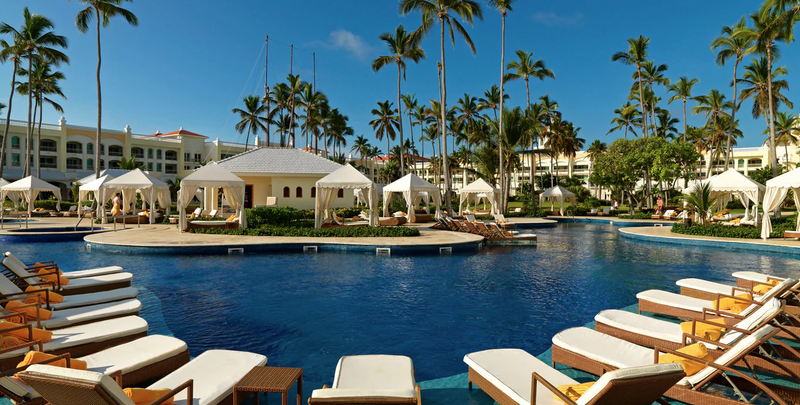 Tucked away between lush tropical gardens and the incredible Playa Bávaro Beach, this resort offers a huge lagoon-style pool and guest room villas surrounded by tropical trees and flowers. 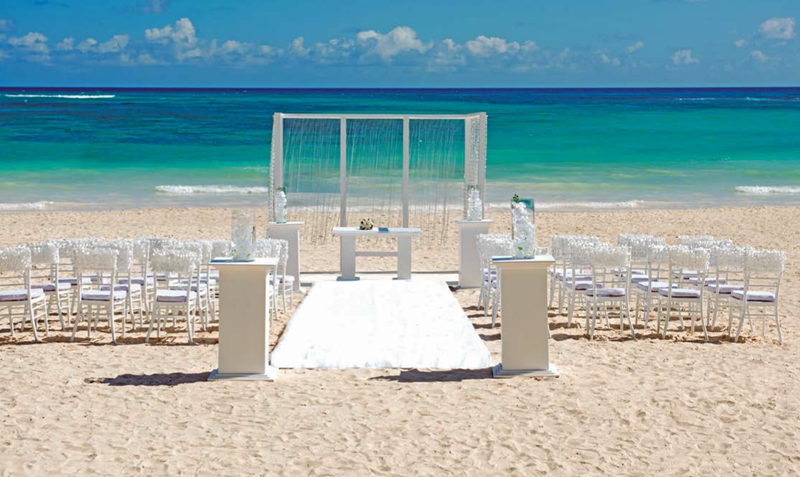 Enjoy the laid-back atmosphere, Spanish-style hospitality, and unforgettable vistas provided with an Iberostar Bavaro wedding. The resort is accommodating for wedding guests of all ages, as they offer romantic nighttime walks with dim lighting and walkways covered in flora for couples, while the children can be taken care of at the kid’s clubs and babysitting services. The grounds at this resort are very large, so make sure to bring a good pair of walking shoes! Golf cart services are available upon request. There are exchange privileges with Iberostar Punta Cana, Iberostar Dominica, Iberostar Costa Dorado and Iberostar Hacienda Dominicus. Rooms range from $150 – $270 per person per night. Every room includes wifi and a minibar. The presidential suite room categories include separate bedrooms and living rooms. Children ages 2 and younger stay free. There are 590 total guest rooms with views of the garden, lake, or ocean. The property is made up of 75 2-story bungalows. Handicap accessible rooms are available upon request. This resort shares exchange privileges with nearby sister resorts. Oceanfront Gazebo – 110 guests max, Terrace Oceanfront – 100 guests max, Garden Middle East Gazebo – 30 guests max, Beach – 30 guests max. The resort will host no more than 1 wedding per day, Monday thru Sunday. 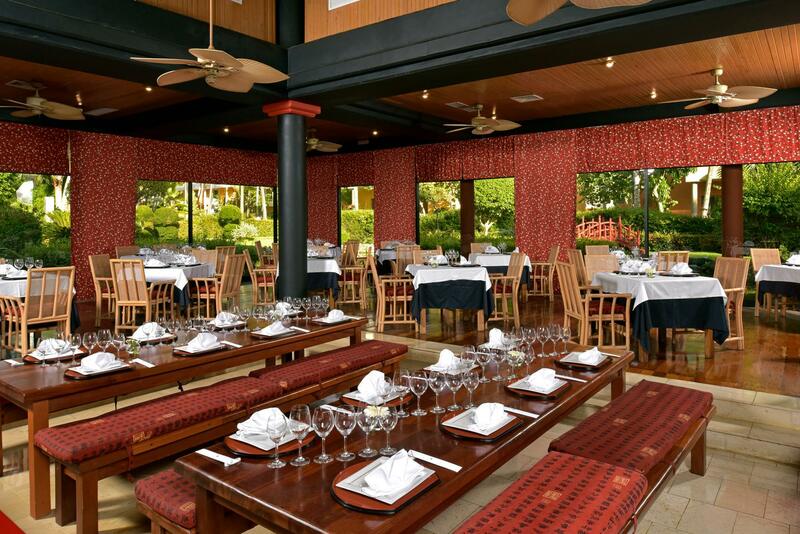 Iberostar Bavaro All Suites Resort is located 15 miles from the PUJ airport. The resort is about 20 minutes outside of downtown Punta Cana. A: My favorite part is the happiness of the bride and groom after finalized ceremony. 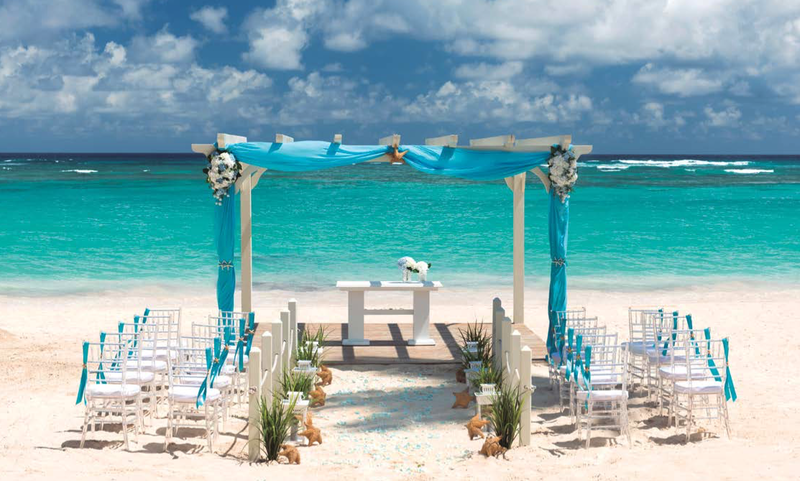 Q: What do brides usually compliment about Iberostar Bavaro All Suites? A: How much attention to details in the rooms, and that they can upgrade to the following category (Subject to hotel availability). Our personalized attention and coordination to wedding activities. 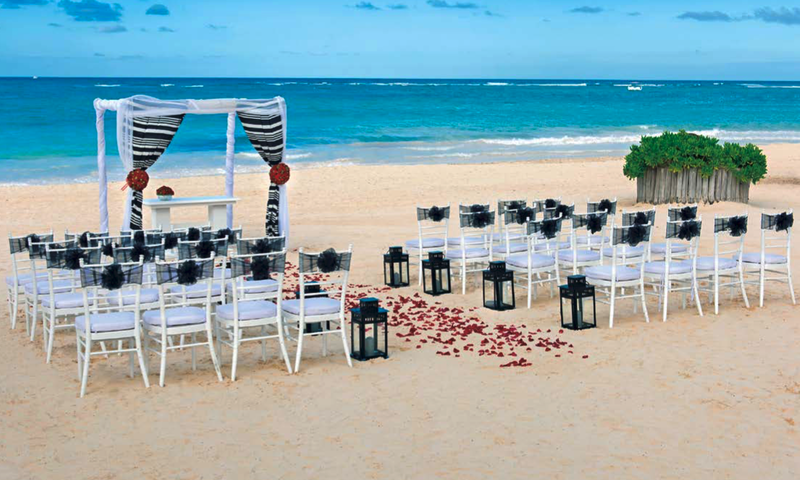 Q: What makes Iberostar Bavaro All Suites such a great place for a destination wedding? A: What makes us different and an ideal option for destination weddings is our personalized attention since we only perform one wedding per day in the complex. Plus our variety of locations and versatility of our wedding packages, along with the restaurant and locations.